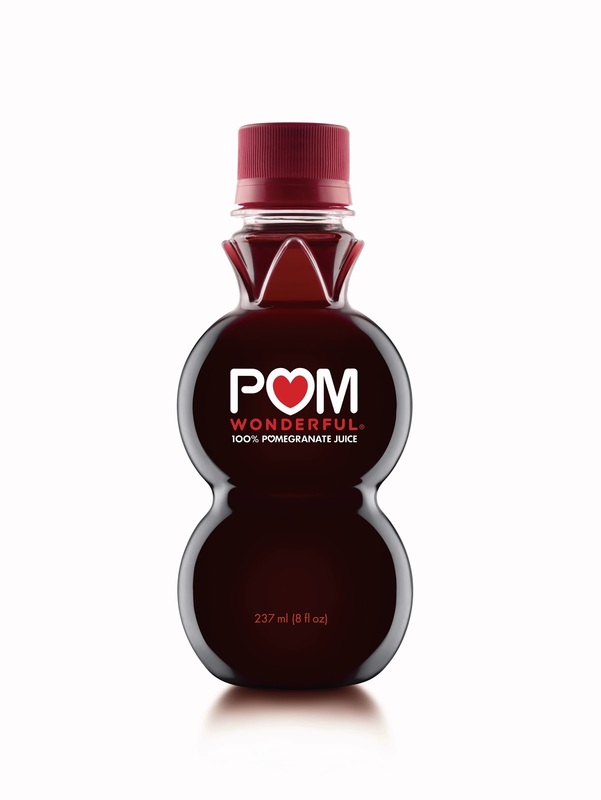 If you are looking for beverages to put in your child's lunchbox, POM Wonderful is a great choice. POM Wonderful is made from the juice of two fresh California pomegranates. Bursting with flavor, POM Wonderful also comes in a very convenient 8 ounce size. This is a great size to put in those lunch boxes. Or if you are on the go, it is handy and convenient to carry. If you have not tried POM Wonderful, you are missing out on a very nutritious and delicious juice. It is packed with flavor and has only 150 calories per serving and zero fat. Yes, I said zero fat! It has one serving of fruit in each portable 8 ounce bottle. Not watered down juice, like some juices on the market, it is 100% pomegranate juice. I love the shape of the bottle. It is easy to hold and the plastic bottle is BPA free. 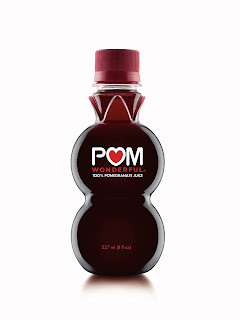 I have been a fan of POM Wonderful for quite some time and when they agreed to send me the 8 ounce bottles to sample and review, I was happy to accept. Living in the South, I am always looking for something to quench my thirst, POM Wonderful is a great thirst quencher and I feel satisfied and hydrated after I drink it. If you have not tried POM Wonderful, look in your grocers cooler section for POM Wonderful in the convenient 8 ounce size. With school starting back, I think this would be wonderful to include a POM Wonderful juice in your child's lunch box or even send for a snack. My son loves POM Wonderful and I am glad I can provide him with a healthy alternative to all the juice boxes and pouches on the market. Have you ever tried POM Wonderful? I have yet to try this. I hear it's really good for you. My kiddos might even enjoy this is their lunch. Thank you for sharing. I too need to try this.It sounds so good while being healthy for you. I have never tried this before. I would love to know if there is any recipes using this. I haven't tried it. I was kind of hoping to see some of your own photos and a recipe or two...but we'll try it! Do you have any of your own photos? I would love to see it in a glass to see how much 1 bottle fills and the color outside of the bottle! I hope you have some recipes with it soon! I love your recipes! Our family loves POM Wonderful! Nom, nom, nom. We usually buy a ton of the little bottles when they're on sale as well as the seeds (I think that's what they are). Haven't tried it but use to love to eat Pomigranite seeds, now the time it takes annoys me lol. I love these juices, they have the new flavors that I have in my fridge and can not wait to try them out. POM is delicious . I would buy this all the time when I first discovered it. I love this stuff and drink it regularly. This is the first time I have heard of this, but it sounds yummy! I love the fact that it is so healthy too. Definitely going to give it a try! I've heard such great things about this stuff and I've even made possible with it for my kids (and cut it with a ton of water and it STILL take great!). It's great to hear about all the health benefits. This stuff is amazingly yummy! I love POM juice, especially the variety with blueberry! I haven't had POM juice in SO long, thanks for the reminder. I am going to pick some up this week and let my son try it too! I have tried it and it's fantastic. Sometimes I use it in smoothies with strawberries, blueberries, and vanilla protein powder. I love this juice! When I'm watching my sugar intake, I balance it out by adding about half the amount of water as I have juice. POM also makes really yummy teas now, too! My husband isn't a huge fan of the POM juice because he finds it to be too sweet and strong for his taste, but he loves the teas. I am surprised that I have never tried POM I love pomegranates. I will have to remember when I go shopping next time to get this..
My grandmother drinks this. She loves it. I never really thought about it. But we will try it. I love POM! It's so yummy. Never seen those 8oz bottles, though; I'll have to look for those for my kids! I love POM. We make "spritzers" with some seltzer and POM and the kids think it's just the cat's meow! I love POM. It has a lot of sugar so I enjoy it in moderation, but it does make you feel great! My nephew love this! I haven't seen the small bottles either. I had no idea this was pomegranate juice. Maybe this is a good way to get some vitamins in my picky boys! I love Pom Juice and drink it daily!!! 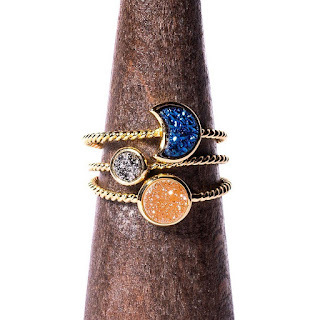 Pom is one of our fav's! It tastes good and it very good for you too! My kids LOVE Pom juice! We add it to recipes as well. This sounds great. I will have to check it out. Have not try POM yet but I saw this in our local store. Definitely, I will buy some for my daughter to drink. I'll have to try some of this juice sometime. It sounds really good. I have never tried it but the way you make it sound, I may be trying it very soon! I love pomegranates and their juice. Really good for the health too! We actually have these smal bottles of the Pom juice at home. My husband really likes it and we get it for him as a treat. I like the smaller bottles so that a serving size is available to take on the road. I've tried a couple of the varieties and really like it! My boyfriend is crazy about the stuff! Our family loves these juices! And I definitely love that they are good for you. I had not thought of getting the smaller size to put in the lunchboxes though! Great idea! I love pomegranate juice and POM, my kids will drink it but only if its poured out into a cup and I tell them it's just juice. if they see the bottle they say yuck and won't drink it...it's all in their mindset! I have never tried this juice because it is always so expensive! I will have to next time I catch a sale! Amy D.
Never tried this juice.It is now on my grocery list. I have been drinking this for quite some time. It is delicious! I've never tried POM but have always wanted to try it. I think I'll pick some up when I go shopping. I've never tried POM Wonderful before. A lot of people I know say it's really good, so I definitely need to try it! I looove pomegranates. They are a wonderful source of iron and truly delicious. Yum! I love it but I can't drink it straight because it tastes so sweet and I am a watered down juice type of girl. I do love using it as a mixer to create other drinks though, especially adding it to sangria! This is the first time I have heard of POM. It sounds like something that we would like! Oh, I love POM. We use it in all kinds of cocktails and drinks for kids. I've never heard of POM, but I'm definitely going to look for it now!